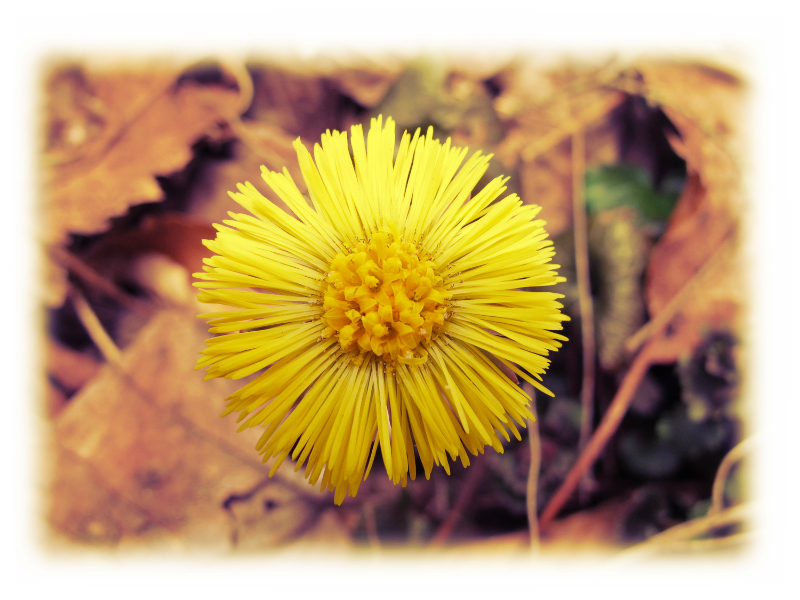 Meet coltsfoot and other spring beauties at this plant circle in Stewiacke! Join fellow plant lovers for a plant walk and identification followed by a Demo – How to make Coltsfoot honey cough syrup – and a cozy cup of herbal tea. Bring your own cup and chair if you like. 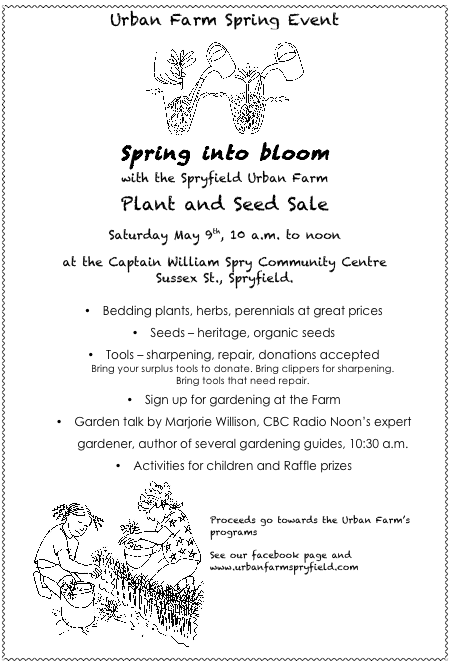 Presented by the Herbalist Association of Nova Scotia and hosted by the Stewiacke Garden Club. Meet at 720 Main St. West, Stewiacke, NS. Hope to see you there! As our weather starts to warm up, it is time to start thinking spring again. Our District Meeting is scheduled for May 2, at the Waverly Legion and being hosted by the Fall River Garden Club. The speakers are all in place and arrangements are done. 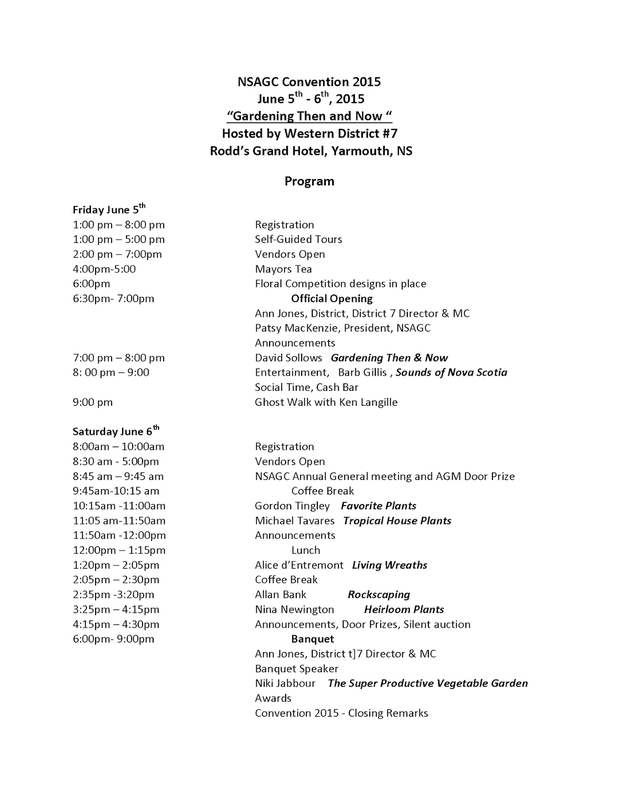 Convention is being held in Yarmouth, June 5th and 6th at the Rodd and hosted by Western District. The theme is Gardening Then and Now. 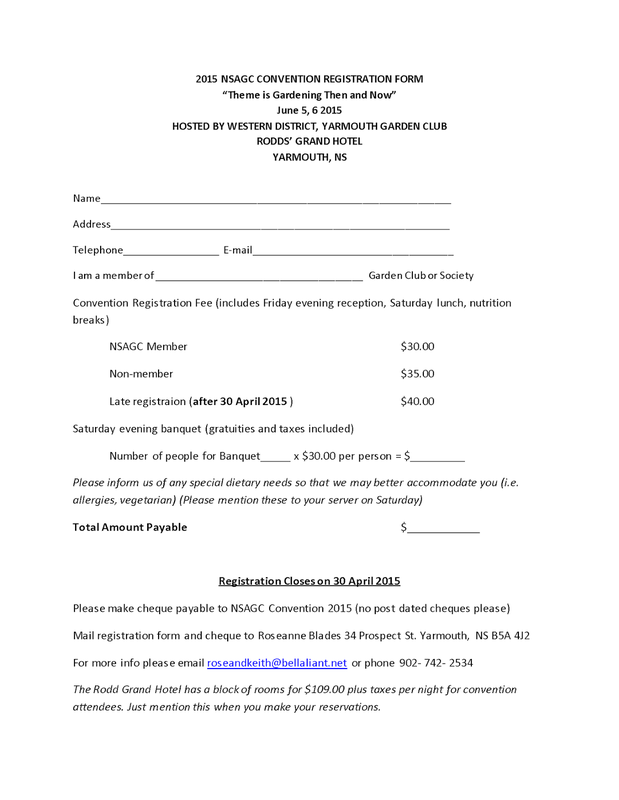 Registration forms and information are on our NSAGC Website under NSAGC Convention. We had our first Bee School the past weekend, with I believe it was 18 people crammed into the honey house. Ruby did a great job making name tags for us and Johan did some slave labour. Don’t tell the others but they made off with the door prizes. The group was supposed to eat all the lasagna. There is a whole pan left over that I’ll be eating for a week. Oh wait now, I’m looking for slave labour Tuesday, hmm, what to have for lunch. The weather cooperated and we managed to head down the road to an apiary to open some hives up and have a look. Just as everybody was gathering around, your truly did a classic rookie mistake and forgot the smoker. Fortunately, I believe it was Luke, ran back and got it while the rest suited up. The last time I forgot the smoker was about 10 years back, 50 km from home so I bought a package of Colt cigars. It sounded like a good idea at the time, but being a non-smoker, both the bees and I were a little ill. I certainly wasn’t very productive. NSCC Course – I begged and pleaded and could not convince them to run it this spring. That said, I know there are at least seven of you wanting to do something more in depth than the informal Beginner Course that we do here. Is there enough interest out there to do a formal “Scotian Bee, Beekeeping Experience.” This is not the, “Joe is looking for labour,” it would be discussion in the morning and then physically doing what we discussed in the afternoon. If there is enough interest, I will put together an OJT package over a period of 8 days here at Scotian Bee. A minimum of eight pers with a maximum of 15 would be required. The cost will be $425 per person. Please respond by email if you are interested. Nucs and Bee Hives. With spring finally being sprung, for those who are expecting bees, you must be getting excited. It is highly likely that dates will move to the right as it will take time for the remaining snow to melt, flowers to bloom and beehives to build. I highly suspect that the blueberry bloom will be a little later than normal as well. Please note that you must be a registered beekeeper in order to acquire bees. There is no cost, please check the link below. Don’t wait till the last minute to register. 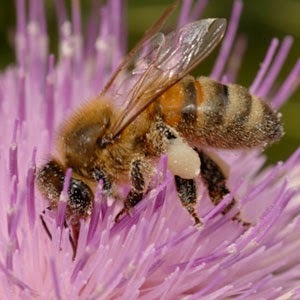 Australian Bees – The bees will actually be coming out of Tasmania, which is still Australia and mite free. The queens will be in the packages which is great news. Morley is wrestling with Cathay Pacific to get cargo space, landing in Toronto 16-17 Aprilish and then trucked to the Maritimes. I will email confirmation to those involved once the bees are in the air. 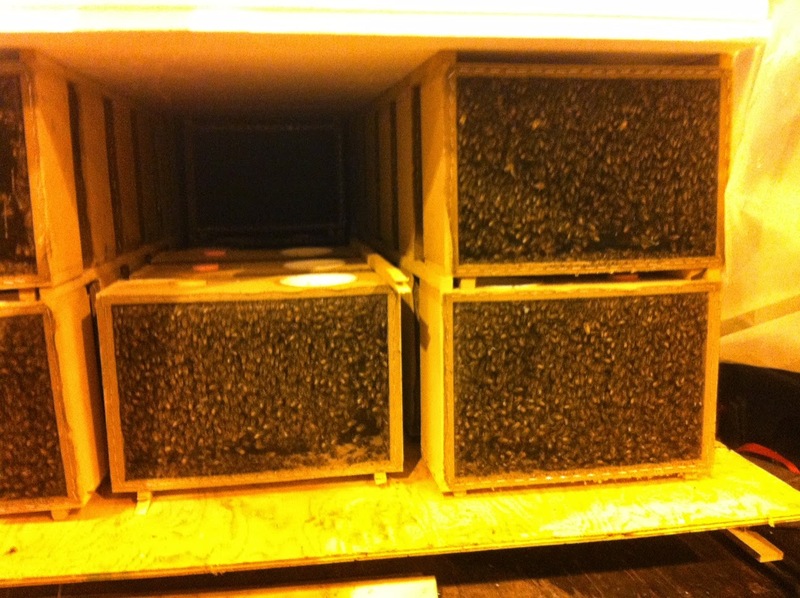 For those who are interested, the first picture is a pallet of bee packages that arrived by plane. They actually shape the pallet so that it fits into the plane. The white thing is a water bottle full of sugar syrup to feed the bees with some form of float to keep them from drowning. The second picture is a close up of the packages. You can see the strapping that keeps them spaced so heat can escape. They come in “magazines” of five. The top of the water bottle is visible. The large white circle is the plastic cap. 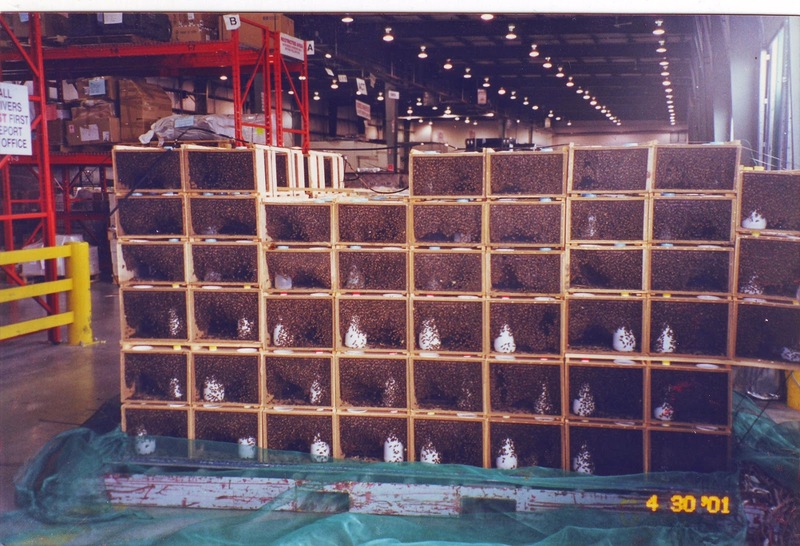 To fill it, they put a funnel into the large hole and shake/pour the bees into the package which sits on a scale. They then put the cap on. More after the bees arrive. The crocuses are up and we have two exciting meetings left this season! This month we are happy to welcome back the Hammonds Plains Area Garden Club to enjoy our special guest Marjorie Willison with us! We'll start with getting to know each other better with a few snacks and short guided activity! Guest speaker, Marjorie Willison, is going to share her wealth of knowledge about pruning our local plants and shrubs. This is another great topic suggested by many of you! 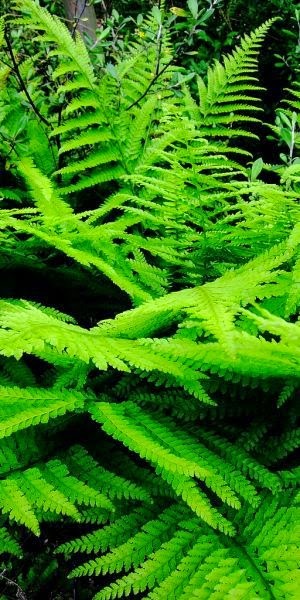 The weather is finally in our favor, so come enjoy a green night out!